Paddlers everywhere are coming aboard the new inflatable style of kayak, and they are not jumping ship anytime soon. Inflatable boats offer superior mobility and flexibility that is not found with heavy, immobile kayaks from the days of yore. For campers and other people who are on-the-go, the Flash inflatable kayak offers a necessary mobility, with the ability to inflate and deflate the watercraft easily. 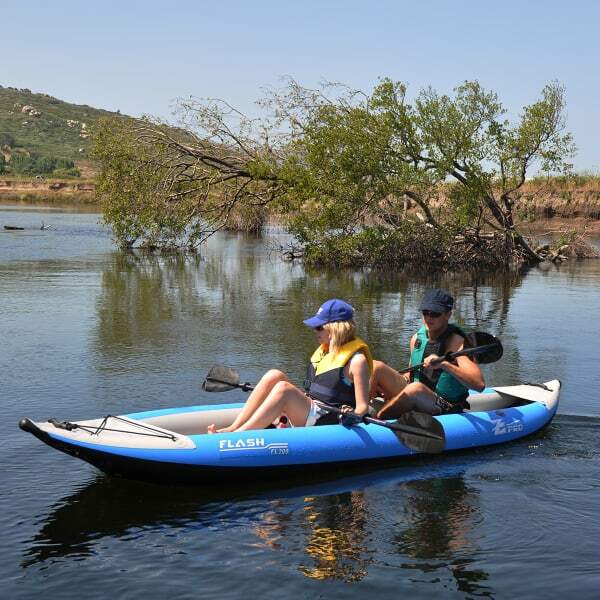 The Flash 2 Person Kayak features a pump, carry bag and gauge for carefree setup and tear-down. 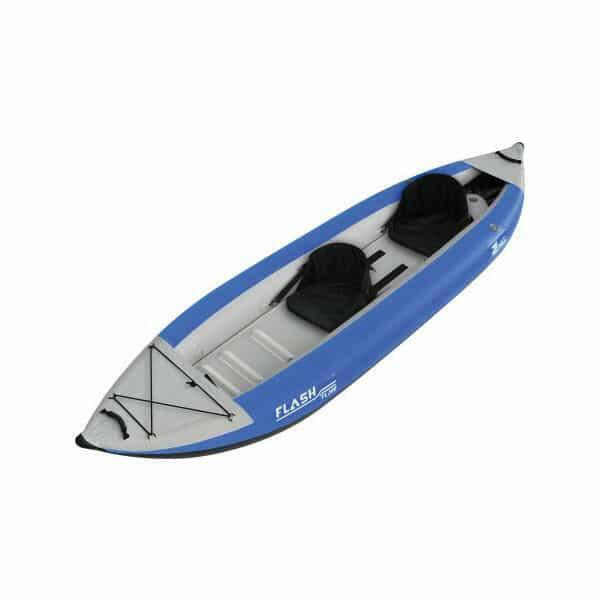 The Flash holds two paddlers at once in two sturdy nylon-covered, adjustable bucket seats that have designated adjustable footrests. 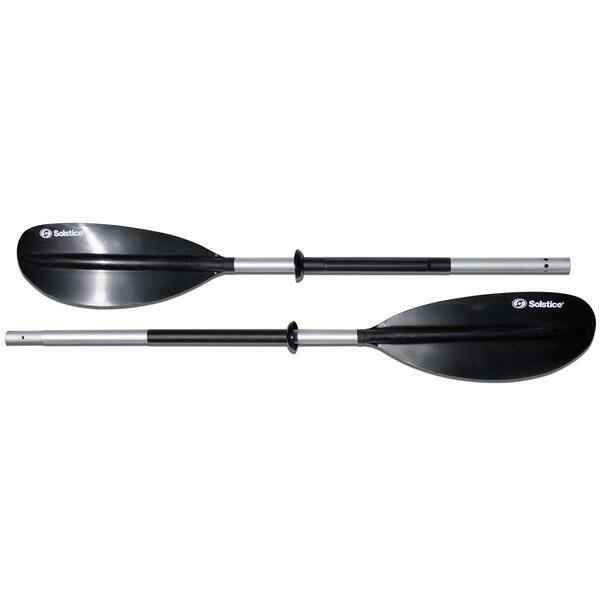 The Flash kayak is made of 1000 Denier nylon with a high-pressure floor. 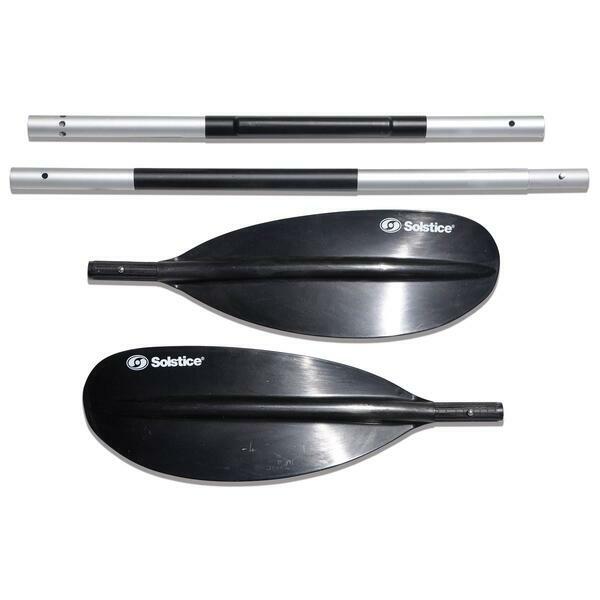 It features deluxe, replaceable H3 valves, a bow cover with a soft carrying handle and elastic cords for cargo, and a stern cover with another carrying or dragging handle. Grab your favorite paddling partner and head for new waters with the Flash 2 Person Kayak in tow. Dimensions 12’ 3" x 37"